Tips and info to help you book best beach hotels in Barcelona Spain ! Hello, my name is Maite! 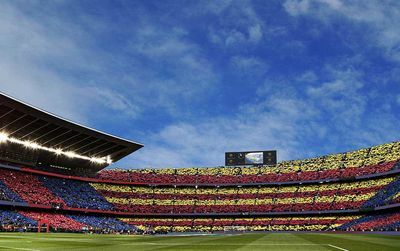 Our local team helps any small or large groups planning to come to Barcelona. We'll contact you as soon as possible, Thank you! Local born experts at your service. Feel free to compare. On prices, we compete for you! A simple rule: If we like - You will love! To locate the main beaches of Barcelona along old port, Olympic port and Forum area. To understand the geographical location of the main beaches in relation to Barcelona's districts and main places of interest. To choose your hotel according to the quality of its services and its price of course. But also according to its distance from the historical centre, to easily visit the wonders of Barcelona. The main beaches of Barcelona, from the South of the city to the North, are the followings: Platja de Sant Sebastià, Platja de Sant Miquel, Platja de la Barceloneta, Platja del Somorrostro, Platja de la Nova Icària, Platja del Bogatell, Mar Bella, Nova Mar Bella, Platja de Llevant. You have noticed that in Catalan a beach is called platja and platjes in its plural form. Playa and playas in Spanish. "Vamos a la playa" you are now ready to go to the beach! What are the hotels on the beach in Barcelona? There are very few truly beach hotels in Barcelona. 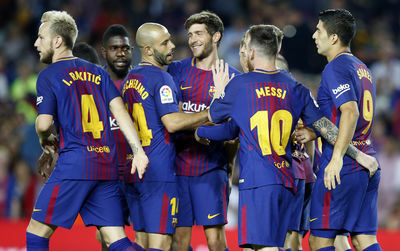 The best known are W Barcelona, Arts Hotel, Safestay Barcelona Sea. All the other hotels are slightly secluded, but this is no obstacle for you to fully enjoy the seaview and panoramic. 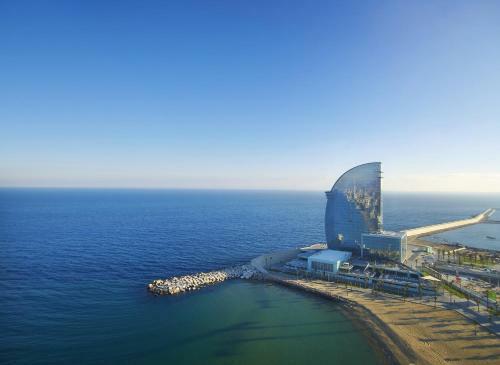 Which are Barcelona hotels near beach ? You have realized that, if they are not directly on the beach, the hotels are very close to the seashore. We generally talk about a hundred meters and few minutes walk. Which is bearable on vacation. Our advice is therefore to consider this distance carefully in your choices so that you do not have any surprises. 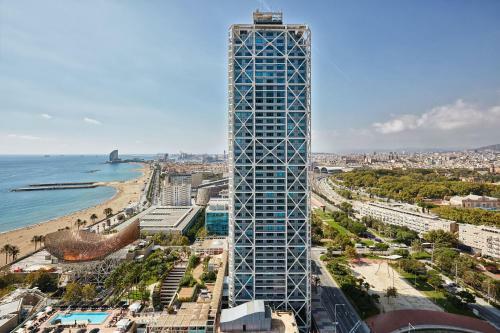 It should also be noted that the transformation of Barcelona's coastline has seen the creation of new beachfront hotel areas. The Olympic district, Diagonal Mar and Forum are now the areas where the hotels are the most recent. Always located at a very short distance from the beach, they are modern, superbly equipped with air conditioned, swimming pools, outdoors pools, bars and restaurants, view on the beach and the shoreline. The beaches in this area like Mar Bella beach and Nova Mar Bella are the most pleasant because they are the quietest. Great for families. Barcelona beach hotel all inclusive offers? Some hotels in Barcelona spain near beach offer all-inclusive stays. These offers are valid during the summer season. They will appear for any search during the months of June, July and August. Which neighbourhoods are close to Barcelona's main beaches? 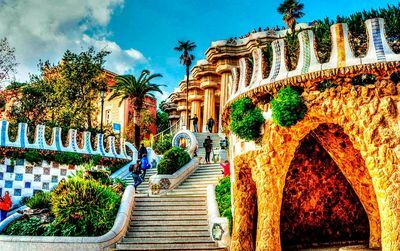 The main waterfront districts in Barcelona are, from South to North of the city: Barceloneta and the four areas of the Sant Martí district: Ciutadella Vila Olímpica, Bogatell, Poblenou and Diagonal Mar - Forum. Each neighbourhood has its own charm and character that is totally different from the others. Barceloneta is the district of fishermen, narrow streets, tapas bars, small shops and fish restaurants. It is the closest to the centre by foot. Poblenou is undergoing a major transformation, becoming the district of startups and trendy restaurants, whereas it was only a working class district fifteen years ago. The Olympic Village arrived with the Barcelona Olympic Games. A district very popular with the hotel-keepers because of its closeness to the seaside. The Olympic Port is very lively in the evening with its many restaurants and nightclubs by the seashore, often in open air. Finally, Diagonal Mar and Forum are the two most recently transformed districts, where you will find most hotels by the waterfront. They are wonderfully equipped for lovers of water sports and beach sports. What are the means of transport between Barcelona's beaches and the city centre? Don't worry, all Barcelona's beaches are very well connected by means of transport. Our advice, choose a hotel close to the beach and the L4 metro line. You will be in the heart of the city in 15/25 minutes maximum. On the Barcelona beach map - on this page - metro stations and bus lines are indicated. Things to do on the beach in Barcelona? As everywhere else in Spain, "going to the beach" is a way of life! Everything is done for pleasure and relaxation. A particularity of Barcelona's beaches that you will undoubtedly appreciate are the chiringuitos. These famous beach bars where everything is done to welcome you as pleasantly as possible: cocktails, live music, continuous catering and of course mattresses and parasols... Find the list of our favorite chiringuitos. There are many seaside restaurants scattered along the different beaches. They generally offer a Mediterranean cuisine made of fish, shellfish and paella. Our section Where to eat in Barcelona? All along the beach there are play areas with table tennis tables, gym equipment, football and beach volleyball courts. There are also showers, changing rooms, sun lounger and parasol rental services. The beaches are cleaned every day, they are very neat despite a very high number of people in summer. Do you want to rent a bike, an electric bike, a segway ride or a guided tour of the surrounding area? All our tours and tickets. What is the best season to enjoy the beach in Barcelona? The hottest months: August, July, June and September, with an average temperature of 27°C. The least rainy months: May, June, July, August with average rainfall of 53mm per month. More annual weather averages in our Barcelona Weather page. These are top Barcelona beach hotels we recommend. Some next to the port, others really on the beachfront. But all of them are top rated hotels with a high level of services like pool, sauna, gym center, and of course solarium. Ideal to enjoy at the same time the summer pleasures and city wonders. Stunnig view of the sea, the beach and the city.. The second W Hotel established in Europe is the one of Barcelona: W Barcelona opened its doors in October 2009 and one can say that it has already reached the reputation of its famous predecessors of the Starwood Group… Called the Sail, this building designed by the Master Ricardo Bofill is ideally located on the beach, on the entry of the port, in the district of Barceloneta. 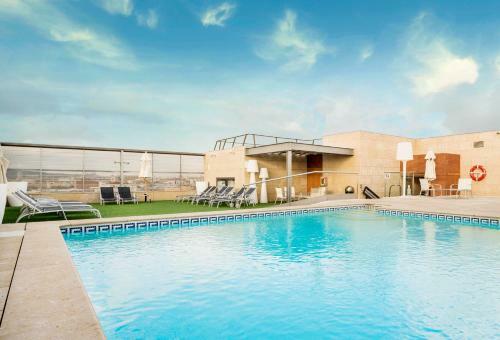 Barcelona Princess is a 10-minute walk from the beach in the city’s Forum area at a perfect location, easy to get into the city centre as the tube station is across the road and the tram is directly outside the hotel. The Eurostars Grand Marina Hotel GL is a great by the sea 5 star hotel. An hotel where everything seems luxury, exclusive and Avant-garde. The building, which resembles a transatlantic liner, is often mistaken for the ships and cruisers which, anchored in the port of Barcelona. It offers terrace, pool, spa and a lot more for a great stay in family or for business.. If you like being just 10 minute walk from the sea, rooftop and pool terrace with cocktails bar, design comfortable rooms, fine restaurant. Then the Confortel Barcelona is for you. 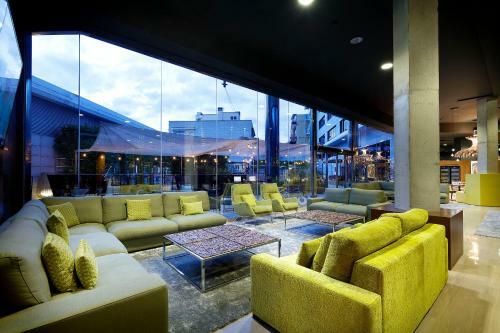 A great 4 star hotel located in a very fun district of the Poblenou known for its bars and discos. 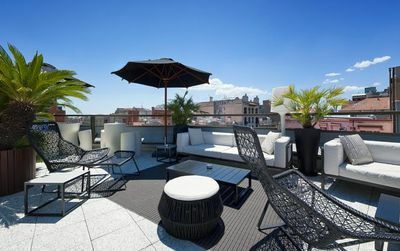 Llacuna and Poble Nou Metro Stations are within 300 metres of the hotel. This offers easy access to the city centre. The tourist bus also stops nearby. Barceló Hotel Atenea Mar is a modern 4 star hotel located at just 150 meters from the Nova Mar Bella Beach. Sauna, fitness centre, hot tub, wifi, air-conditioned room features international satellite Tv, Mediterranean restaurant everything is ready to make your stay easy. Regular bus services to central Barcelona stop outside the Barceló Atenea Mar, while Poble Nou Metro Station is a 10-minute walk away. 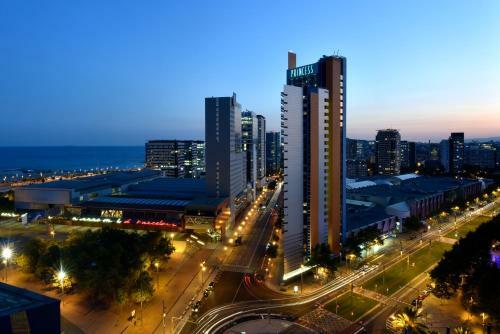 The CCIB Conference Centre and Diagonal Mar Shopping Centre are just 1 km from the hotel. Just 6 minutes’ walk from Bogatell Beach Hotel 4 Barcelona is also for you is you like enjoying the pleasure of the beach but also being in a vibrant area The Poblenou and not really far from the city center. Rooms are air-conditioned, comfortable and nice looking with their wooden floors... The hotel offers a sauna and steam baths, and massage can be arranged. It also has a 24-hour reception with bicycle rental and free newspapers. Hotel Icaria Barcelona was named from the name of the Nova Icaria beach, that is to say that this hotel is just a few steps from the sea. Wooden floor, marble bathroom, large room the Icaria is a modern hotel offering many amenities: Sauna, Fitness Centre, Solarium, Spa & Wellness Centre, Massage. 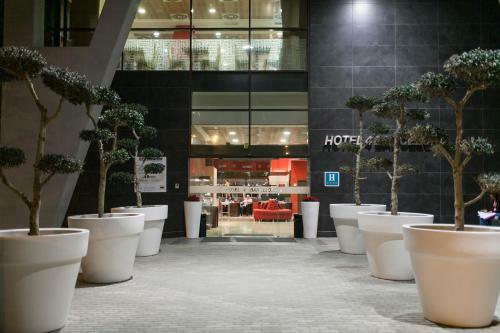 Hotel Icaria Barcelona is located in the Olympic Port area, a 10-minute walk from Ciutadella Park and Barcelona Zoo. Ciutadella Metro Station is 800 metres away, and is just 2 stops from Barcelona Cathedral and the historic Gothic Quarter. Right on the seafront the Hilton Diagonal Mar hotel in Barcelona is a perfect place to enjoy beach pleasures as well as tourism in the city. Pleasures with fitness center, very large terrace with pool, sauna but also bars and lounge. Tourism with a brand new shopping center steps away and 15 minutes away city center. 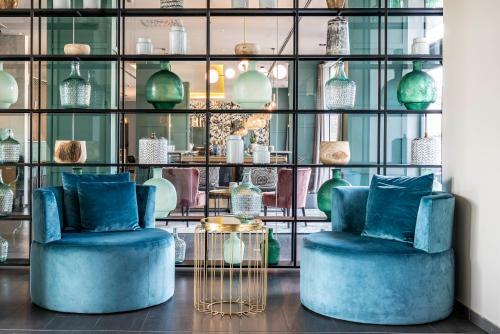 Unwind with magnificent views of the Mediterranean in the Hilton Diagonal Mar Barcelona hotel’s stylish Rooms and Suites Lounge in front of an on-demand movie, or enjoy exquisite Mediterranean cuisine from the mouth-watering Room Service menu. A zen decorated 4 star hotel. Vincci Maritimo is only 8 minutes away from the Mar Bella Beach. The air-conditioned stylish rooms creat an nice atmosphere, relaxing and comfortable. 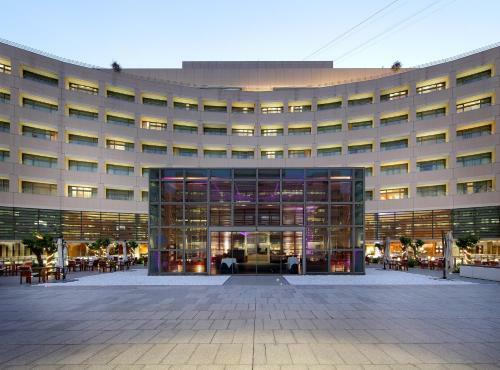 Vincci Maritimo is just next to Diagonal Mar district, shopping centre and the CCIB Convention Centre. The hotel’s reception is open 24 hours a day, allowing you greater flexibility during your stay. Laundry and car rental services are also available from the front desk. Real good question! In fact the beach is very cool - even in this season, end of fall - to walk, run, enjoy the coastal view. if you're sporty there's nothing better. Now if you want to experience the city's places to visit, as you can no longer really swim, the best is to do the opposite: look for a hotel in the centre and go to the beach to get some fresh air. This seems more relevant to me at this time of year. Enyoy!!! Is that a cool idea to search for a beachfront hotels in Barcelona this season? no idea if cool or better in city centre? A great choice on seafront! Do you offer Safestay Barcelona hotel? Can't find it on your website. W is great any time of the year.. just a bit expensive in high season..
Duquesa de Cardona me semble vraiment bien et merveilleusement placé entre la ville et la mer, les vacances et les visites. My choice goes to the W Barcelona hotel. Your are just by the sea and there is always something happening in this W hotel. A great one we enjoyed our stay there. SM Hotel 54 Barceloneta est situé juste à côté de la mer, c'est petit et simple mais super sympa! Dans le genre bord de mer mais quand même en pleine ville dans un super quartier: le Duquesa de Cardona.. Il n'y a pas mieux.. Un super hôtel face au port. Le rêve! Arts hotel was really one of the greatest hotel of Barcelona. Believe it's still the same..
Eurostars Grand Marina is impresive by its size. Like a boat in the harbor. The place to see F1 champions during the GP.. but don't tell it..